An exciting time for us with many memorable experiences over the 6 months we were there. 16 July - Departure Day! 20 July - and we start trekking around Europe, visiting most of the place recommended in my trusty Guide Book. First stop - Paris, where we studied the Arc De Triomphe, plopped in the middle of a roundabout full of non stop traffic. Building began in 1806, on the orders of Napoleon I to honour the victories of his Grande Armée. Up close to the Eiffel Tower, an iron lattice work structure, 324 m tall and built in 1889 by Gustave Eiffel for the 1889 World's Fair. Located in one of France's wine and tobacco growing regions, on the Dordogne River. The town contains two statues of Cyrano de Bergerac, subject of a famous play of the same name by Edmond Rostand, though the actual Cyrano never lived in Bergerac. An old stone statue stands on Place de la Myrpe, facing Place du Docteur Cayla. A newer statue is unusual in that it is painted in colour and stands on a stainless steel pedestal. Close by is the Monbazillac Castle, with wine tasting as a bonus to rooms full of an architectural blend of medieval defensive fortifications and Renaissance exuberance. Full of excitement as this was the FIRST Castle we visited in Europe! Hewn from the limestone cliffs of Aubeterre in the 12th century this is the largest subterranean church in Europe with the nave being 20 m high. Hidden for centuries by a rock fall, and only rediscovered in the 1950s. 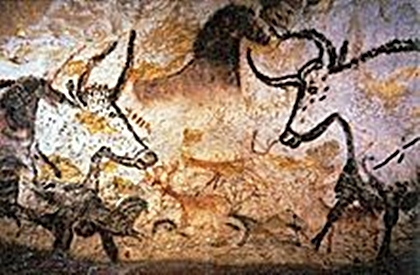 24 July ~ A visit to the Lascaux II caves famous for Paleolithic paintings of large animals of the region, and estimated to be 17 300 years old. Added to the UNESCO World Heritage Lists in 1979. 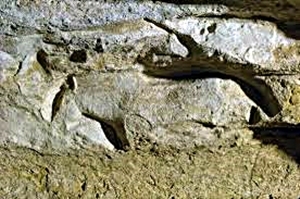 Followed by a drive to the rock shelter at Abri, with high relief carvings dated at 17 000 years, identified as 12 horses, 3 bison, ibex and unidentified animals. We arrived by train on the afternoon that the annual water jousting competition was being held. A walk to the summit of Mont St Clair (175 m or 400 stone stairs) was rewarded with panoramic views of Sete. The chapel of Notre Dame De La Salette, consecrated in 1864, is at the summit of Mont St Clair with skilfully painted frescos of biblical scenes. 6 - 10 August ~ World Dog Show was held in Helsinki - our reason for being in Finland at this time! The Sedlec Ossuaryis a small Catholic Chapel located beneath the Cemetery Church of All Saints. This small basement chapel is very creepy but wonderful. It is estimated to contain the skeletons of between 40,000 and 70,000 people, whose bones have in many cases been artistically arranged to form decorations and furnishings for the chapel. There are around 40,000 bones stacked in 4 huge pyramids, one in each corner, and decorated around the chapel is a huge chandelier and a coat of arms as well as the signature of the wood carver Frantisek Rint who was commissioned in 1870 to arrange the bones artistically.